Find out what makes DTG technology ideal for garment printers, decorators, embroidery shops, fashion designers, brands and more. Go bigger, faster and bolder with breakthrough new features combined with newly formulated inks and smarter design. 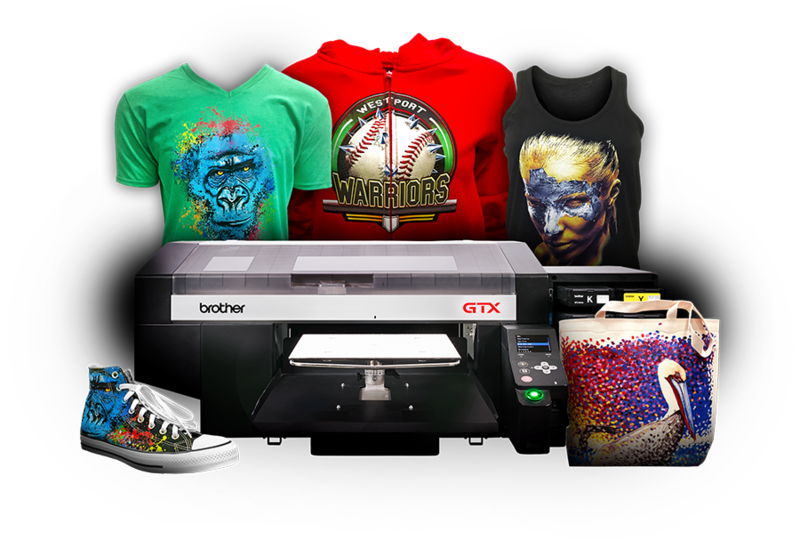 Explore what's possible with GTX Direct to Garment printers. Need help? Connect now with our customer support team to keep your business moving forward. Learn about what makes us a pioneer in Direct to Garment printing.